These days Vitamin C is a key ingredient in most skin brightening and smoothing products. In the past few months I was looking to once again incorporate it into my skin care regimen as I noticed that my old sun damage spots were starting to re-appear in these summer months. 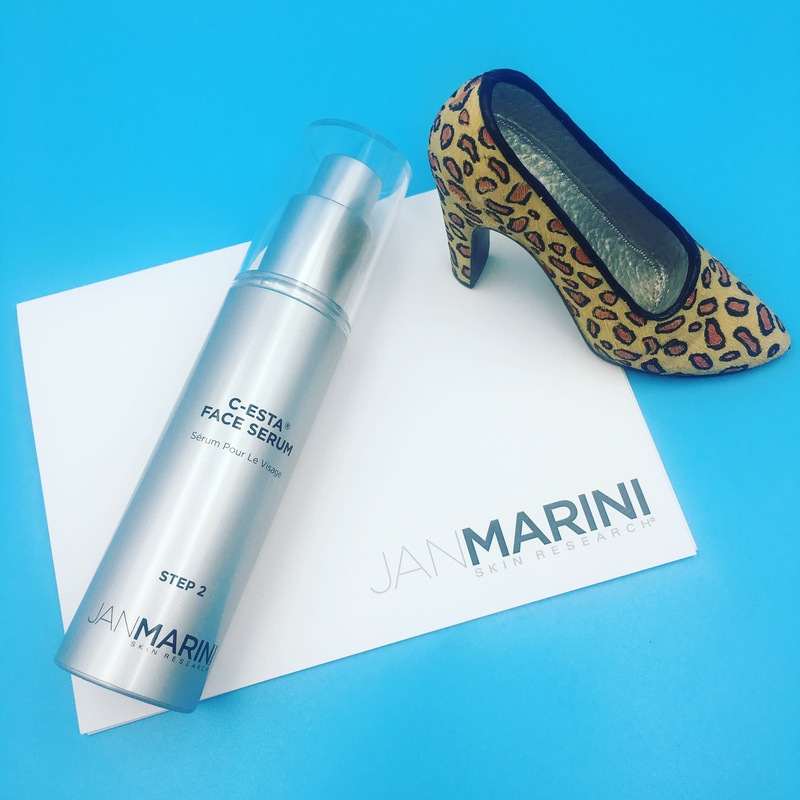 Fortunately and just in time, Jan Marini provided me the opportunity to test out their C-ESTA serum! This serum is very light and absorbs super quickly, which is a must for me. Like any Vitamin C serum, there is a bit of a grainy feel to it, but fortunately this product does not tingle or burn my skin like others I have used in the past. It also has a very light pleasant sent. I have been applying a thin layer to my face morning and night before serums. In the past two weeks my dark spots have faded significantly and my skin is noticeably brighter! I haven’t noticed a huge change in the appearance of fine lines, however the goal with this product for me was to brighten and even out my skin, so I am very satisfied. I would definitely re-purchase this serum. It is a bit pricey, but frankly most serums including Vitamin C are. I prefer this serums texture over the others I have used and the fact that it absorbs quickly saves me time in the morning. Disclaimer: I was sent this product complimentary to test and review. All opinions are my own. ← July ipsy Bag – Liner, Shadow, Masks, OH MY! !